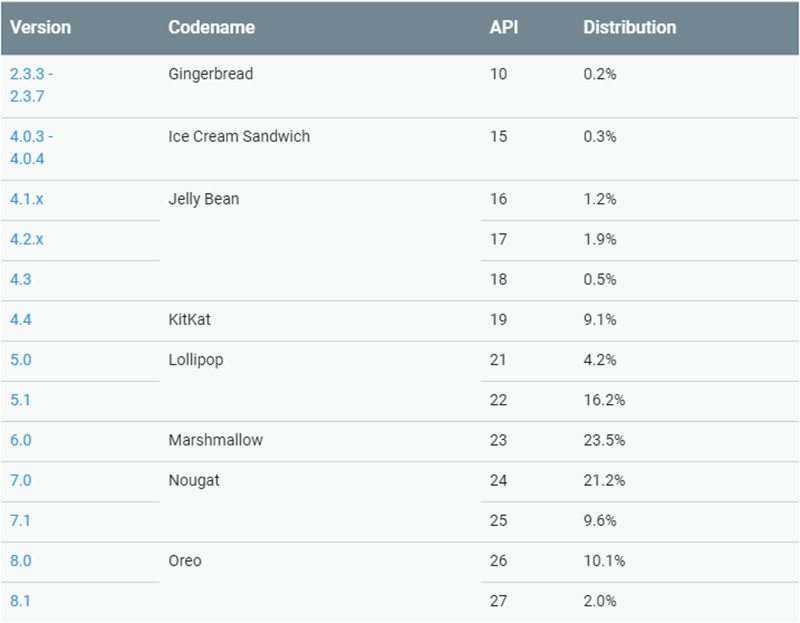 Google's official Android distribution numbers give us an insight into which OS versions are still being used, and serve as a visual representation of the platform's fragmentation. 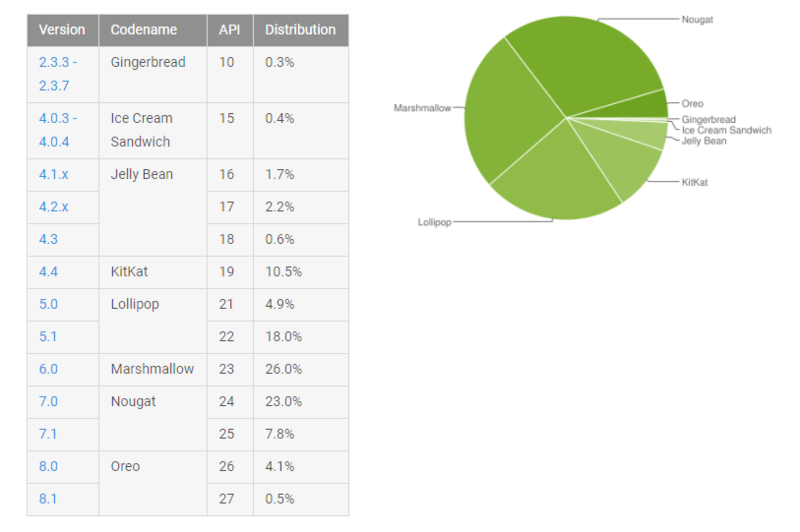 The stats have just been updated again for October, and Android 9 Pie is still nowhere to be seen. 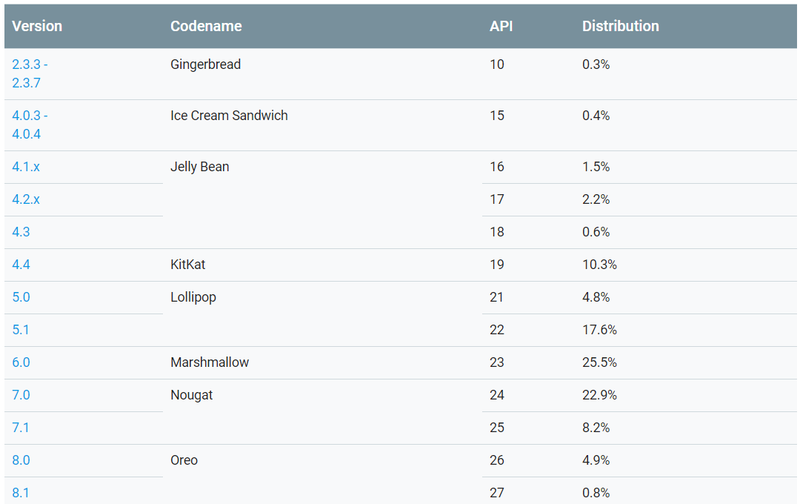 In what is becoming a tradition, Google has published new Android platform distribution numbers for September before the month is even over. In fact, Google bumped the numbers once in the middle of September, which is a bit peculiar. 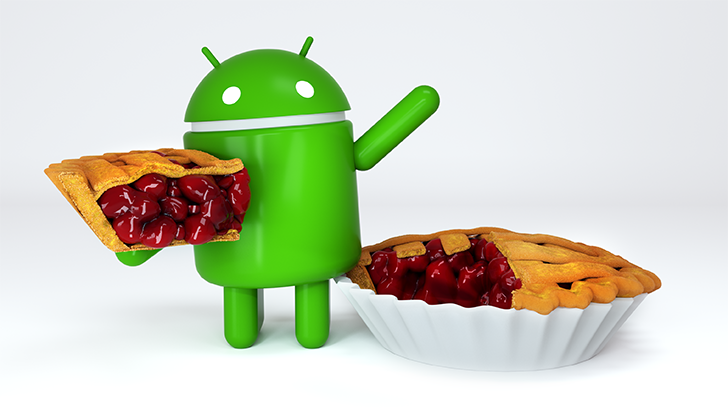 Whatever the motivation, it wasn't to show off the impact Android 9 Pie has made, as the latest version of Android is still apparently sitting below the 0.1% threshold for inclusion. 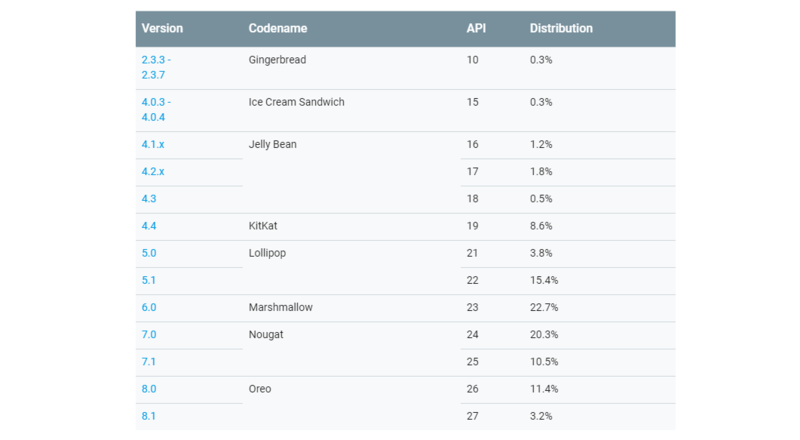 August isn't even properly over, but already Google has pushed the month's platform distribution numbers, detailing the precise statistics of Android versions used across devices. Last month's statistics were of particular interest after the two-month gap, resulting in some inflated numbers, but this month things are back to normal. As always, newer versions of Android are up, and older versions are (mostly) down. Interestingly, Pie has yet to rear its head, despite launching earlier this month. We get it, Google. You're busy with a lot of things, and platform distribution updates can fall by the wayside. Still, the most recent two-month gap was unusual. Someone finally had time to spit out new numbers today, and it's actually rather good news. Oreo usage is up to 12.2% across both versions, which is more than double where it was back in May. The big news today is all from Google I/O today, but that's not all we have to talk about. The developer dashboard has also gotten an update with new platform distribution numbers. So, Oreo is huge now, right? No, it's at a modest 5.7% usage share. That's up from just under 5% last time. That's behind Nougat's pace last year. Things must be busy at the Googleplex right now. That's the only reason I can think that Google couldn't get someone to dump the latest platform distribution data online for the last six weeks. The last time we had fresh numbers was the beginning of February, but Google has just issued an out-of-cycle dashboard update with new numbers. 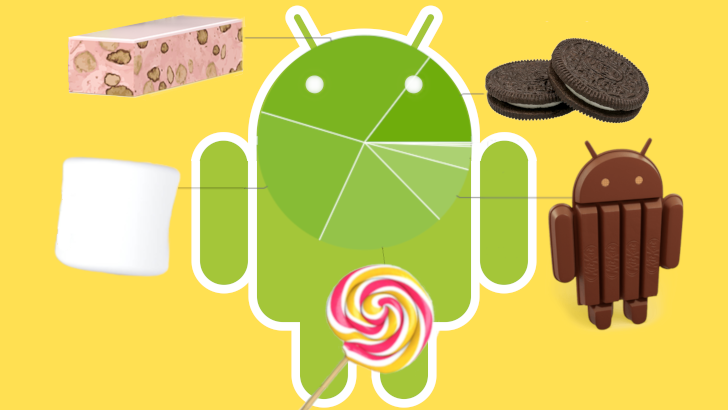 There are no surprises here—Oreo is still growing (slowly) and old versions of Android are shrinking (slowly). Samsung declined to comment on this story. 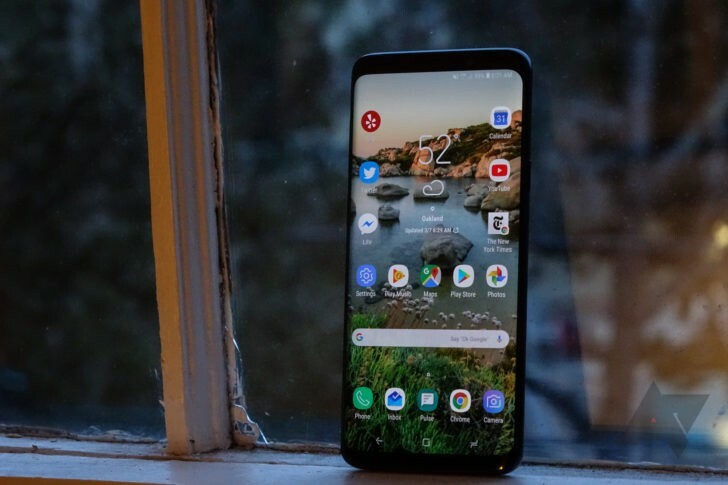 Earlier this week, I noticed that my Galaxy S9+ review unit had an OTA update available. This update addressed some stability issues with the camera and put the phone on the latest security patch (which is certainly a good thing). But at nearly 250MB, it was quite a sizable update, too, and so installation took a bit to complete - my phone was out of commission for over five minutes. 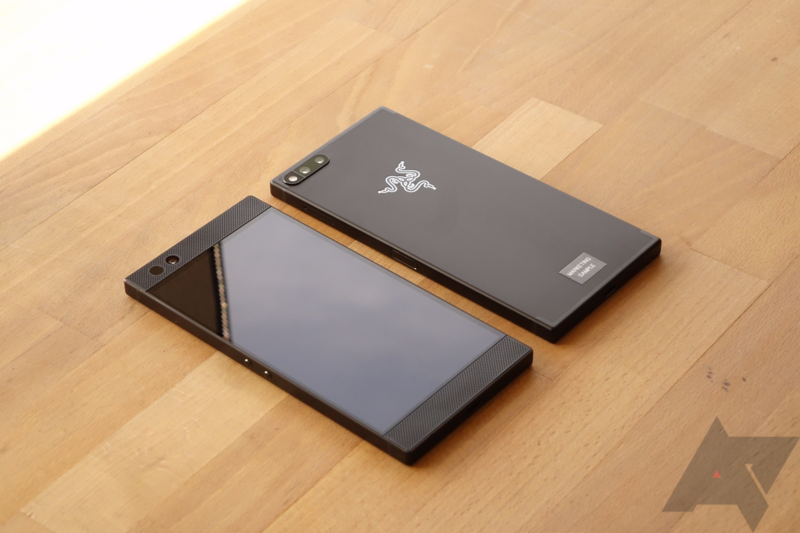 The Razer Phone launched last year with plenty of features that cater to power users. There's a 120Hz screen, a huge battery, front-facing speakers, and more. One thing that was missing: the option to flash factory images. 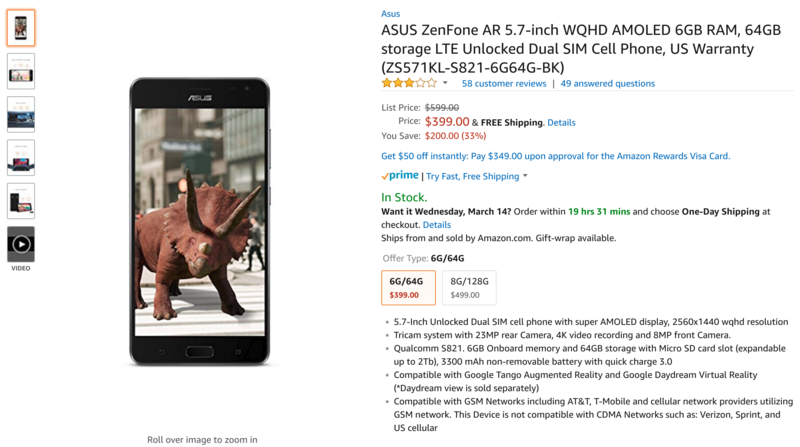 The phone was unlockable, but the images didn't exist. Well, now they do. It has been a very long time since we last covered Android x86, but the project is still alive and kicking. If you're not familiar with it, Android x86 is a port of Android to x86-based PCs and Macs, with almost no changes to the interface (for better or for worse). 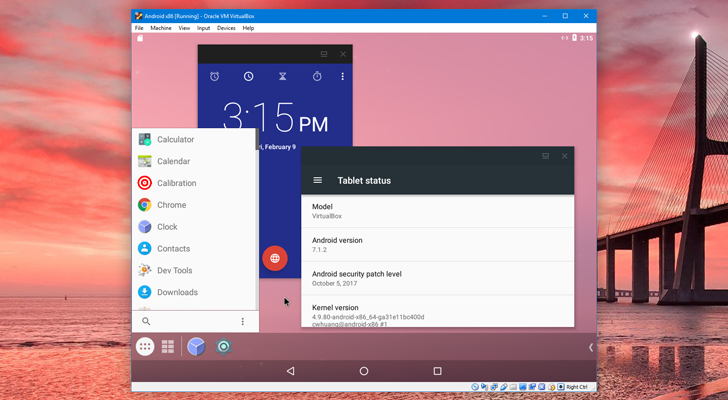 The first stable port of Android 7.1 has just been released, so you can enjoy Nougat on your PC or virtual machine of choice.